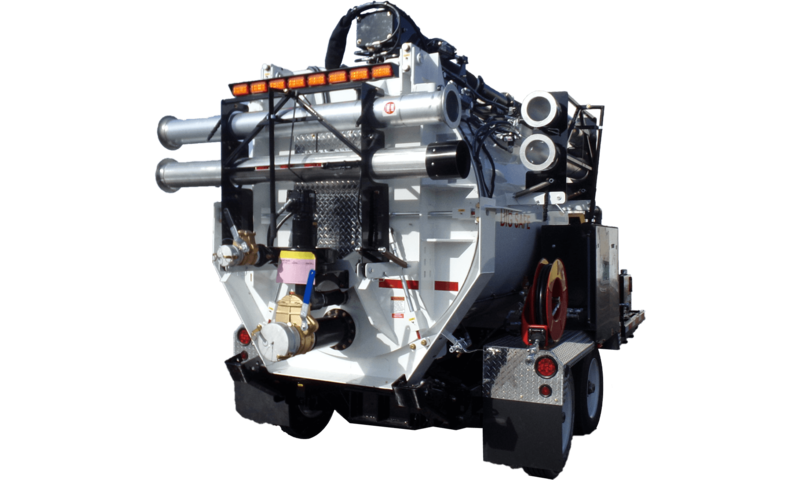 The RAMVAC 2000 Catch Basin Cleaner is a tandem axle (18,000#GVWR) vacuum trailer which features a 6 cubic yard debris box with 1/4″ extended steel construction. Additionally, it features a 320 degree working radius boom with a reach of 12 to 17 feet, a Caterpiller 122hp Diesel engine, 6″ vacuum system with 2400CMF and 18″ blower, cyclone separation, and 10 micron final filter with a vacuum enhancer. The RAMVAC 2000 also features, Nema 4 controls and wireless remote options. 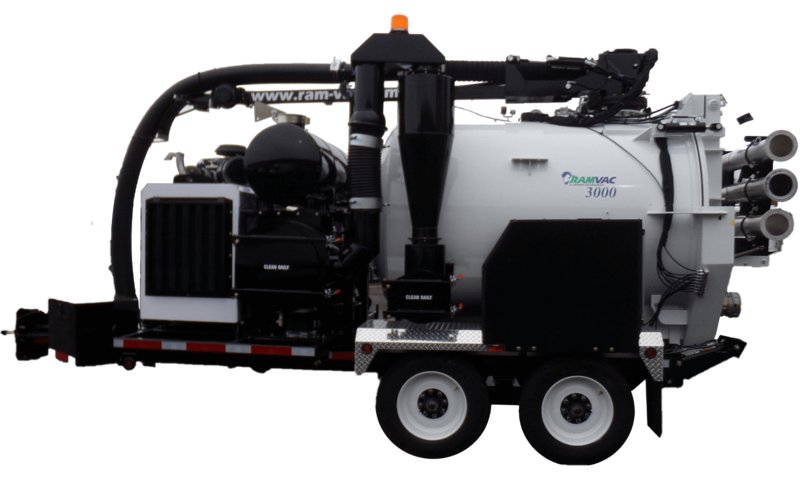 The RAMVAC 2000 is best-selling, most powerful large trailer vac in the industry. Today, more than ever there is focus on the maintenance of our underground infrastructures. Environmental concerns are on the rise and one of the best steps you can take towards a sound infrastructure is maintenance. The dedicated catch basin cleaner will give you the ability to focus on staying ahead of potential problems and when those emergencies arrive you will have the right tool to take care of the problem. This is a big purchase and you want to feel confidant you have made the right choice. The truck and trailer mounted catch basin cleaners from RAMVAC are built with this in mind. No other manufacturer in the industry puts the thought and effort into building a machine that will not only get the job done, but will remain productive for years to come. Clean the most stubborn areas in no time and keep you on schedule. To see the RAMVAC in action, click here. 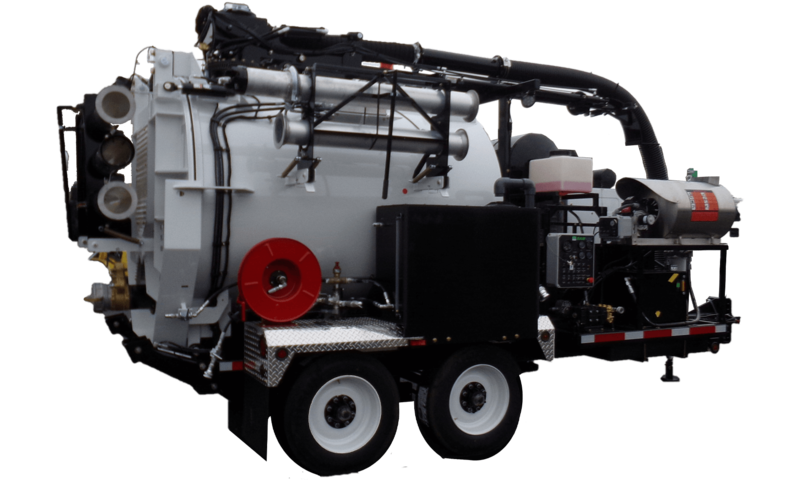 The RAMVAC 3000 Catch Basin Cleaner is a tandem axle (18,000 #GVWR) vacuum trailer which features a 6 cubic yard debris box with 1/4″ extended steel construction. 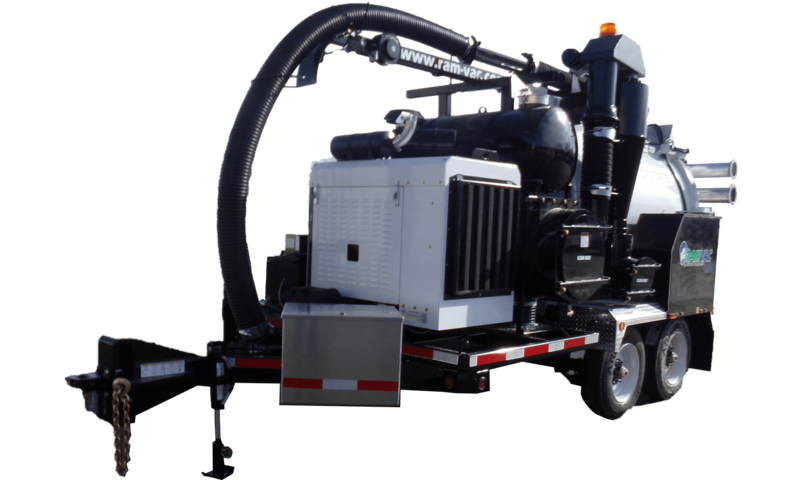 Additionally, it boasts a 320 degree working radius boom with a reach of 12 to 17 feet, a Caterpiller 137hp Diesel engine, 6″ vacuum system with 3000CMF and 18″ blower, cyclone separation, and 10 micron final filter with a vacuum enhancer. Additionally, the RAMVAC 3000 features Nema 4 controls and wireless remote options. 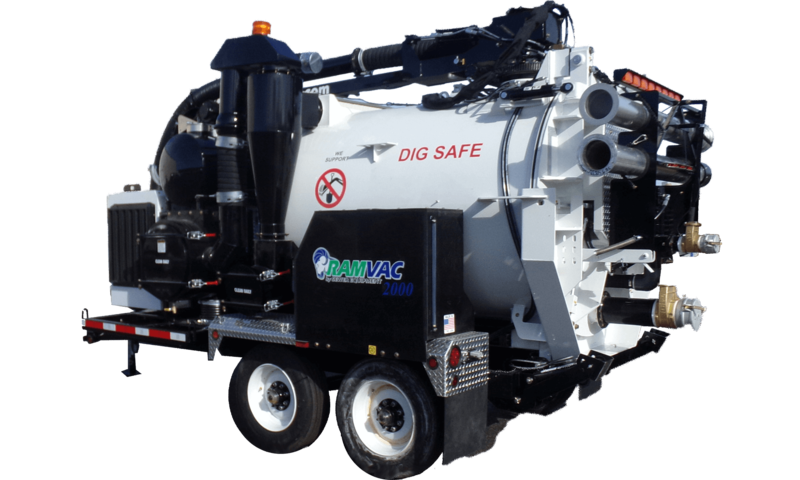 The RAMVAC 3000 best-selling, most powerful large air-vac trailer in the industry Today, more than ever there is focus on the maintenance of our underground infrastructures. Environmental concerns are on the rise and one of the best steps you can take towards a sound infrastructure is maintenance. The dedicated catch basin cleaner will give you the ability to focus on staying ahead of potential problems and when those emergencies arrive you will have the right tool to take care of the problem.